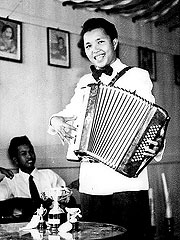 AB Suhaili, an accordian player performing in 1959. 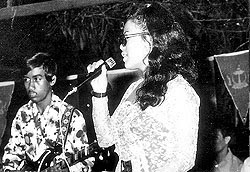 Reflecting on the music and the entertainment scene of the yesteryears, youths in Brunei started getting into modern music in the late 1950s. However, the traditional musical instruments and Bruneian songs that have been passed down to our generation by our elders were not forgotten. 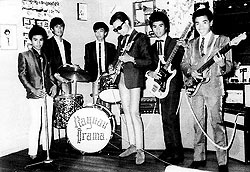 In 1959 and 1960, Bruneian youngsters were already forming bands under the influence of famous bands such as The Beatles and the Rolling Stones. In 1959, these youths started to play in bands for wedding receptions, birthdays and anniversary parties. During that time, most of the songs had classic and slow rhythms which were favoured by the elders. There was also the 'Bintang Radio' competition organised in 1963 for fans of old, traditional Malay 'Keroncong' and 'Zapin' songs. After that from 1966 to 1969, bands started naming themselves to gain popularity. 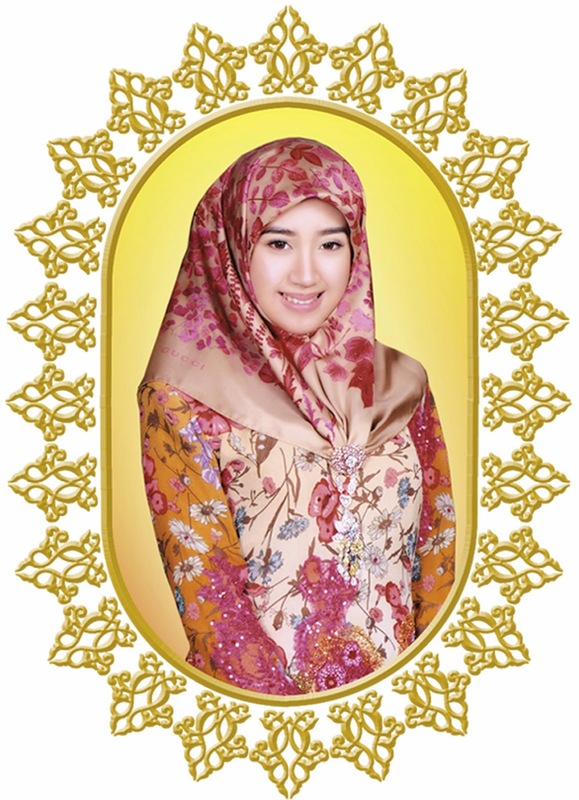 Amongst the musicians and bands famous in that era include Kugiran Irama Perindu, Seri Wana Combo, Saroga, Rayuan Irama, Melati Puteh, D'Idaman, The Hunters and many others. Notable male singers included Ak Tajudin Pg Mangong, Hussein Hj Tuah, Ak Mas Emran, Ali Paun and many others. Female talents that stood out included Sahara Ahmad, Sukaimi Hj Talip, Nosiah A Hamid, Siti Mariam Yusof, Julia Chee and many others. 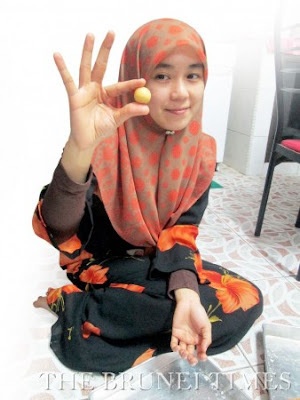 Bruneian singers, musicians and bands were no less impressive than their counterparts in Malaysia and Singapore and some even recorded their songs into vinyl records. Today, these musicians and bands of the yesteryears are remembered because even to this day their voices and music are played on the radio. How can they be influenced by The Beatles and The Rolling Stones in 1959 and 1960 when those bands didn't exist yet at that time?